Paging Dr. Mighty Girl, you're needed in the ER! 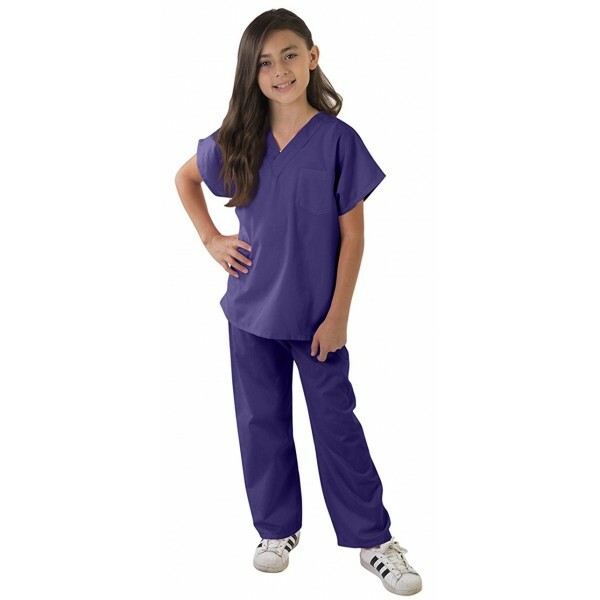 This set of 65% polyester, 35% cotton scrubs from Natural Uniforms looks and feels just like the real thing. The v-neck top has a chest pocket, while the elastic waist pants have a back pocket. They're available in multiple colors, including surgical dream, perfect for inspiring the next generation of surgeons and trauma specialists.